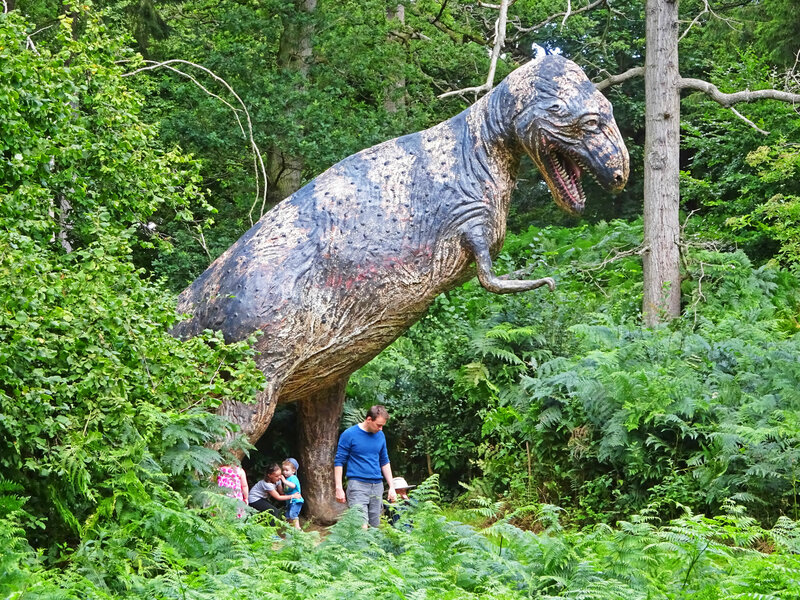 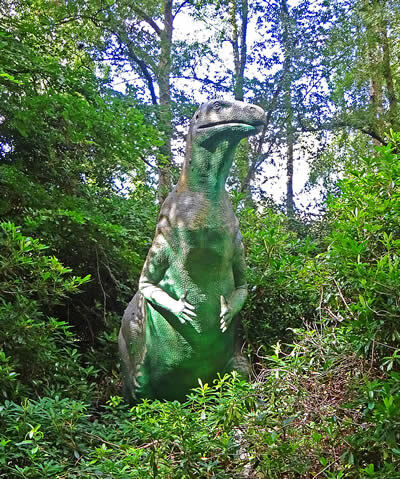 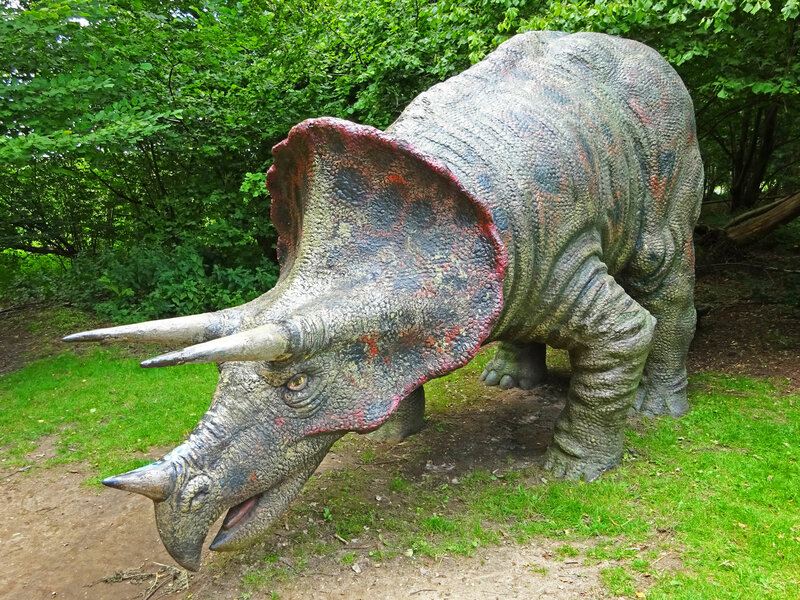 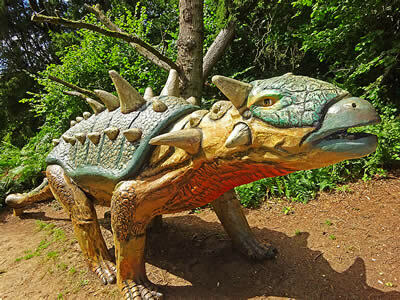 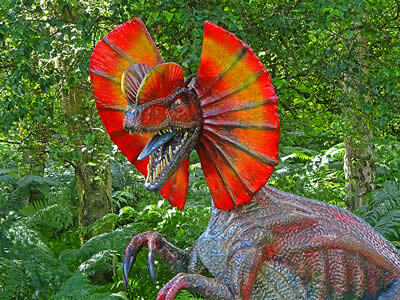 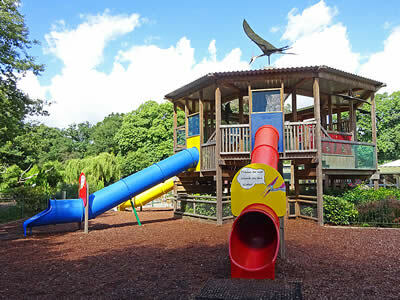 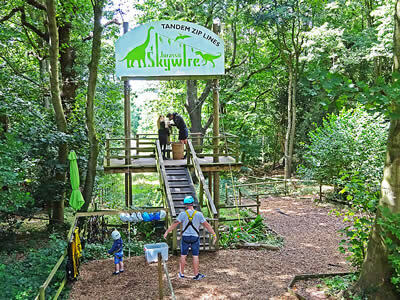 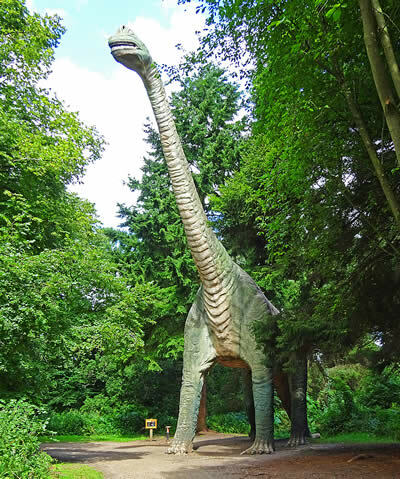 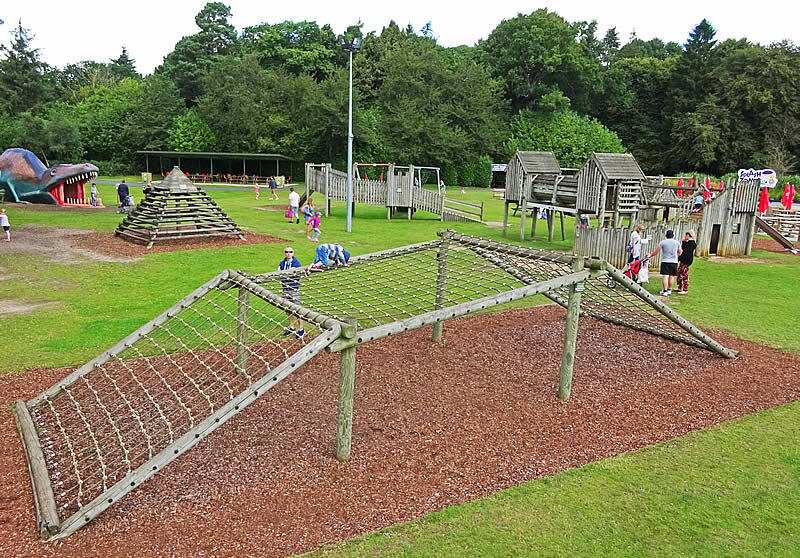 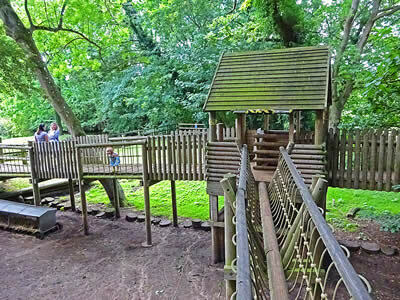 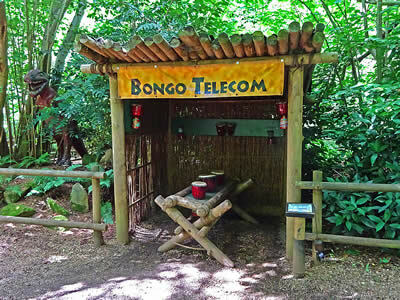 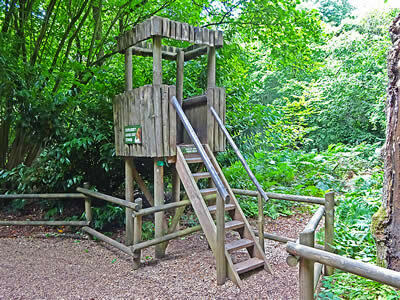 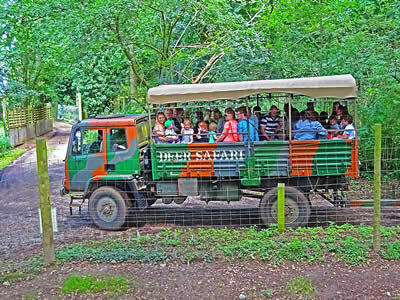 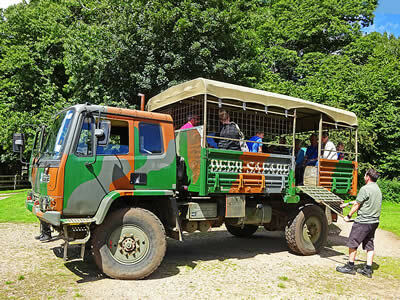 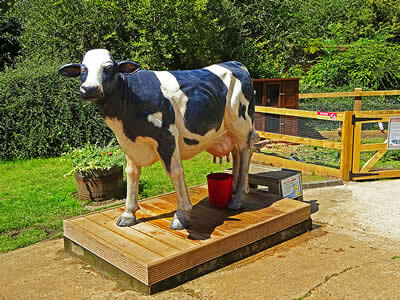 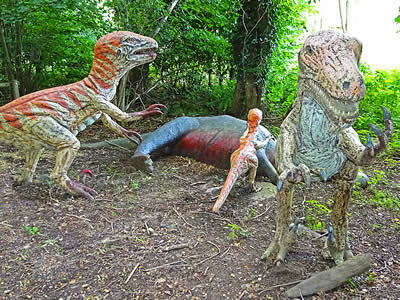 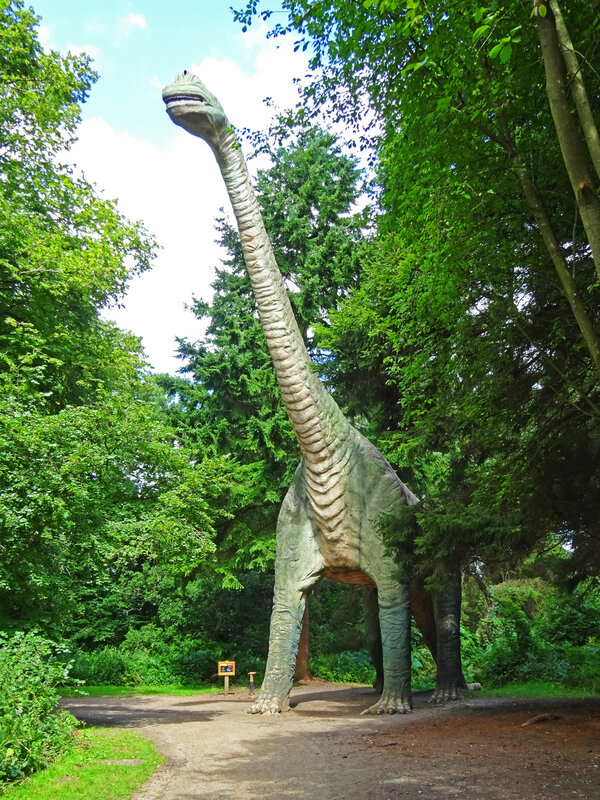 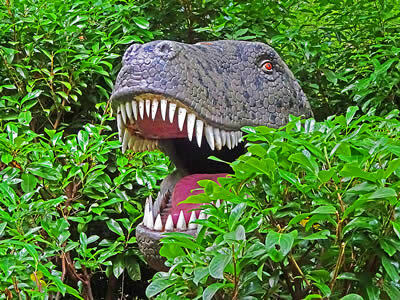 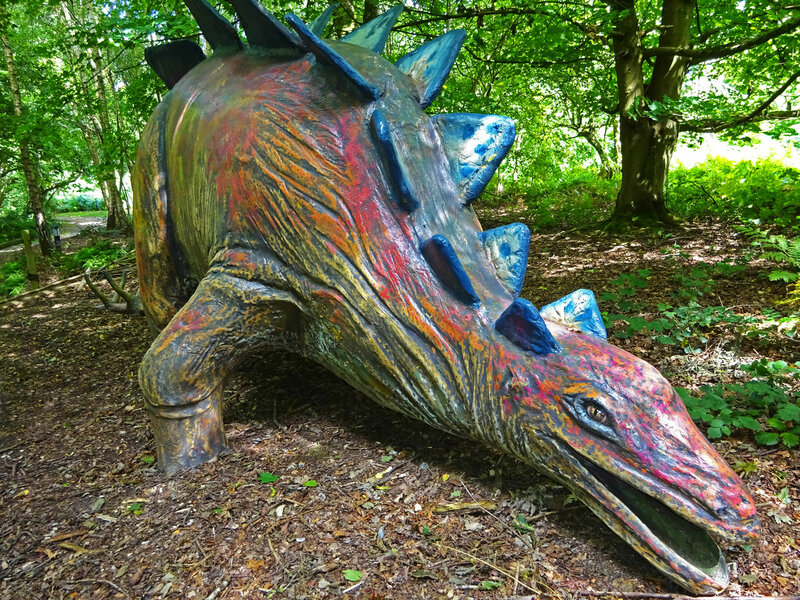 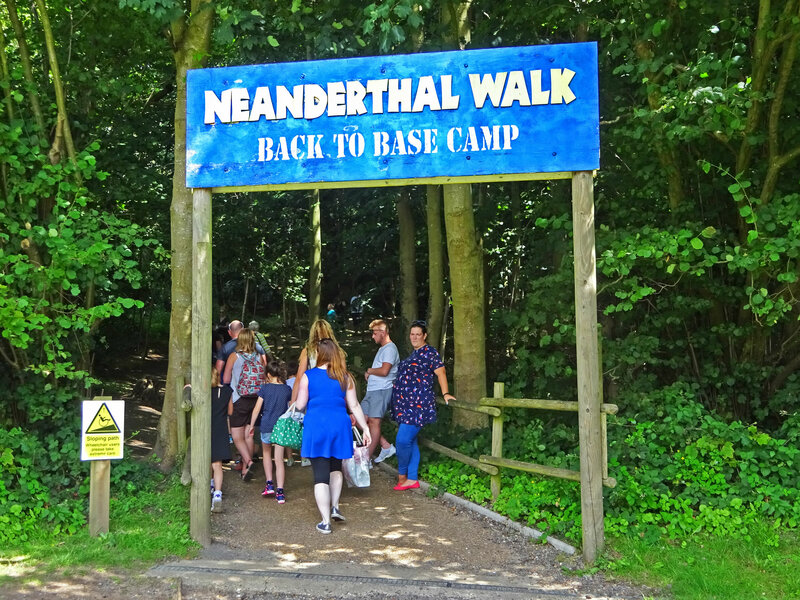 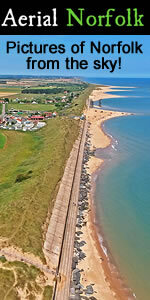 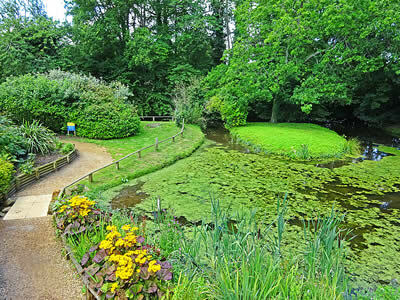 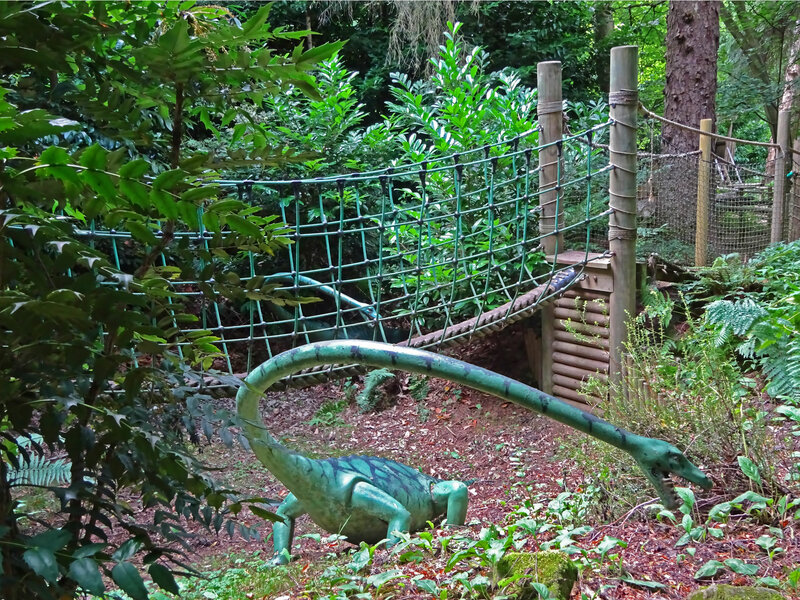 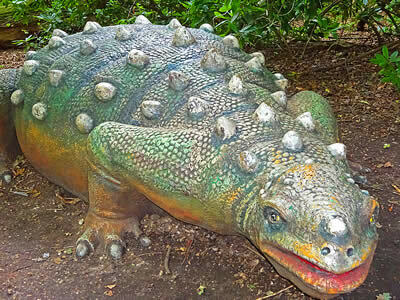 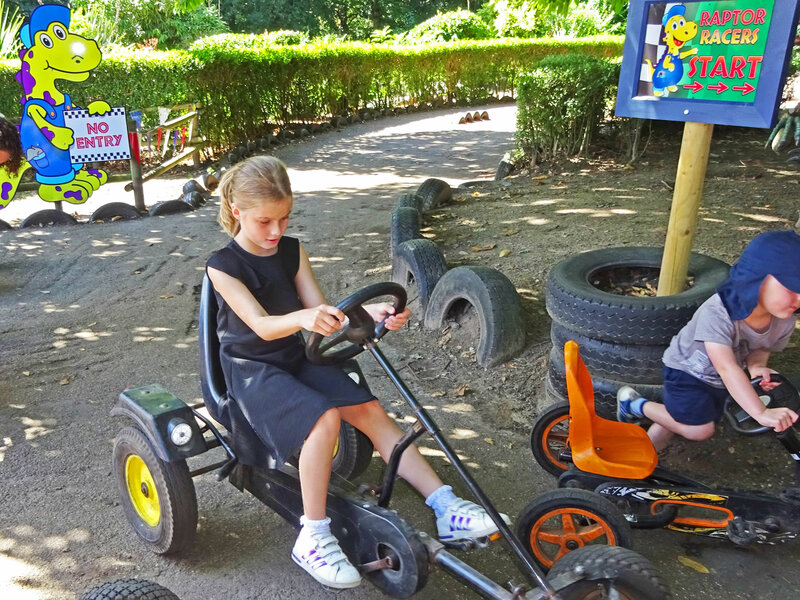 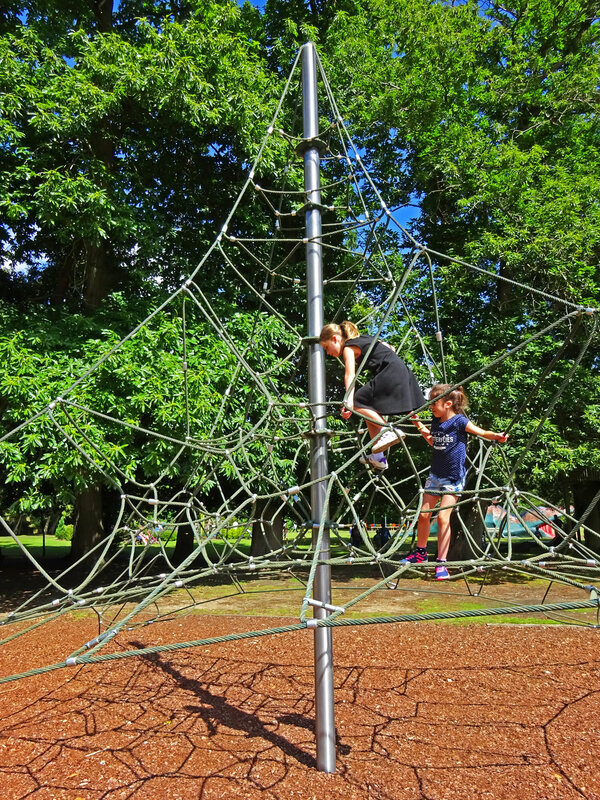 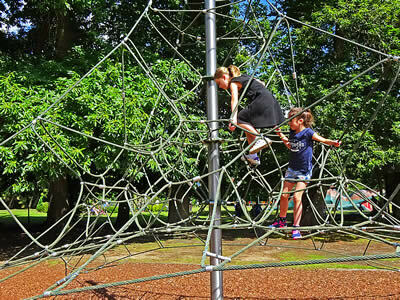 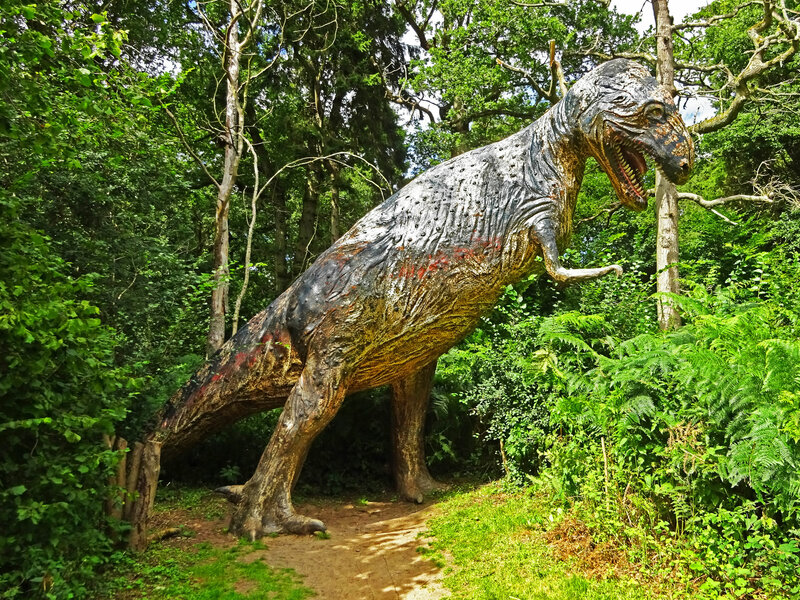 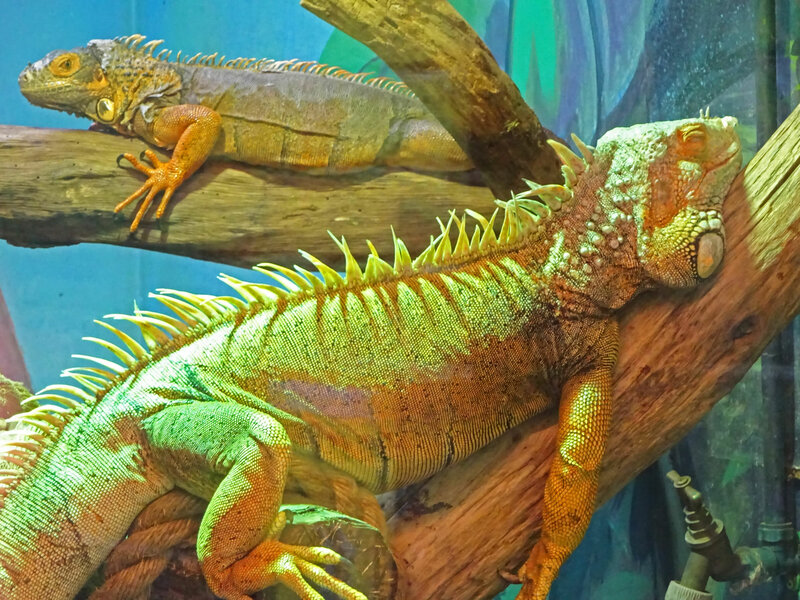 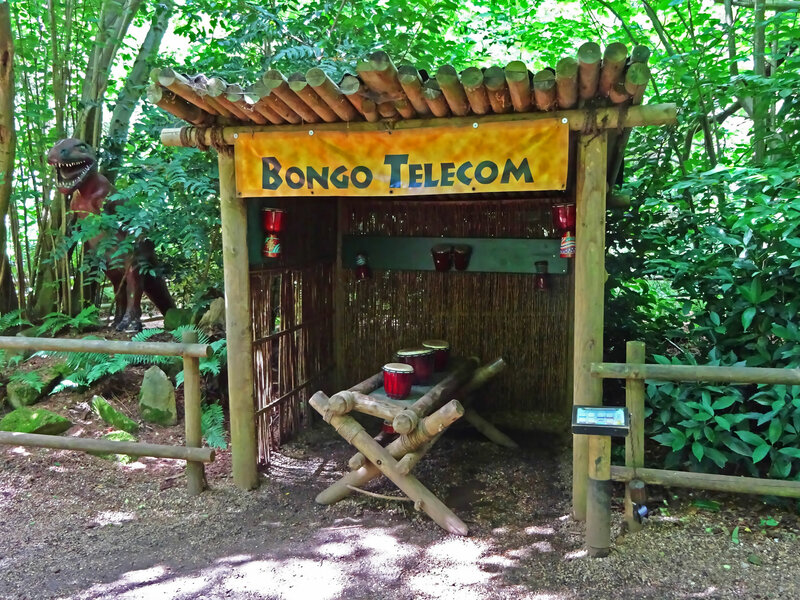 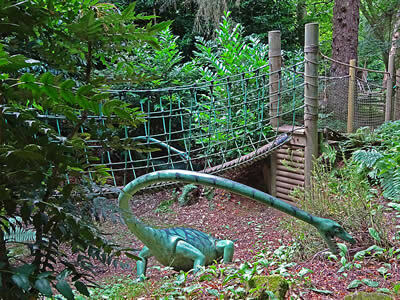 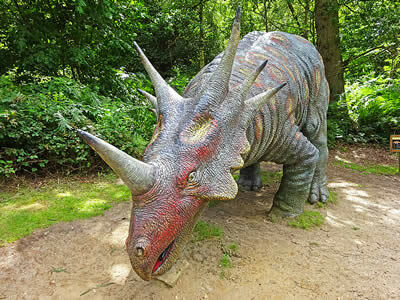 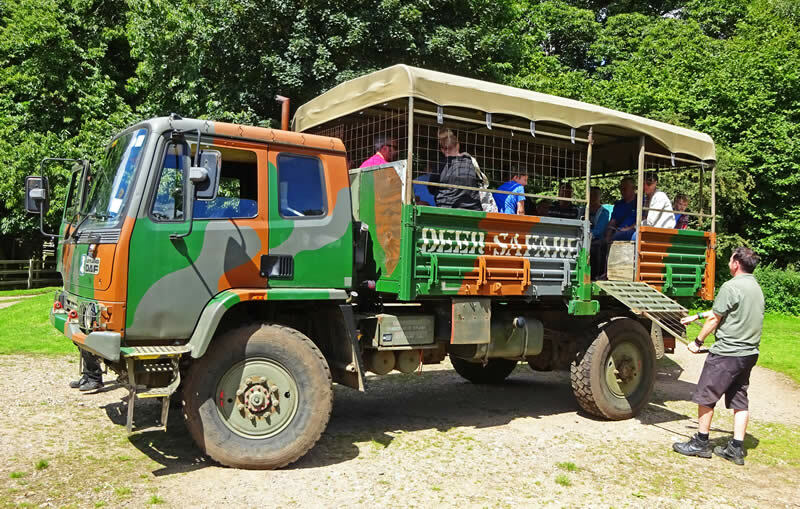 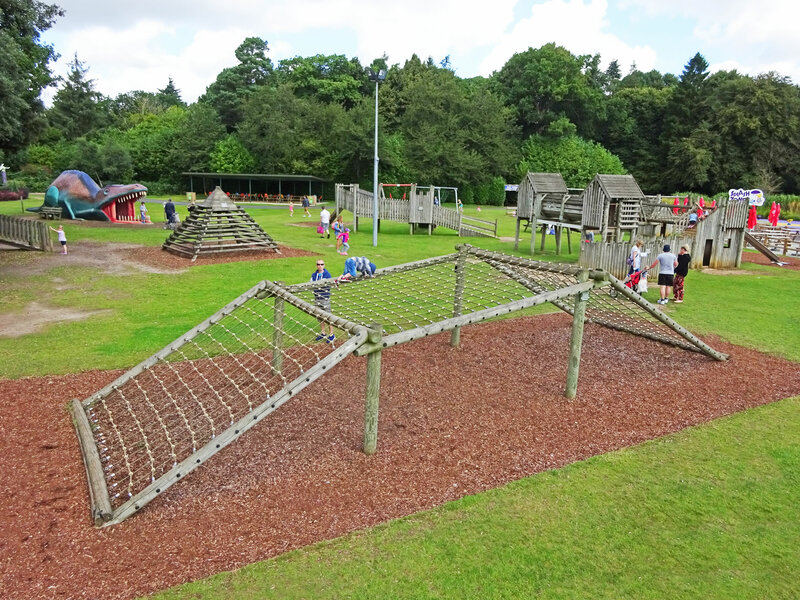 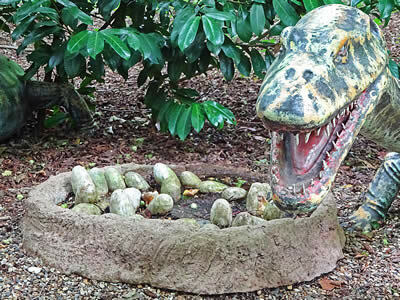 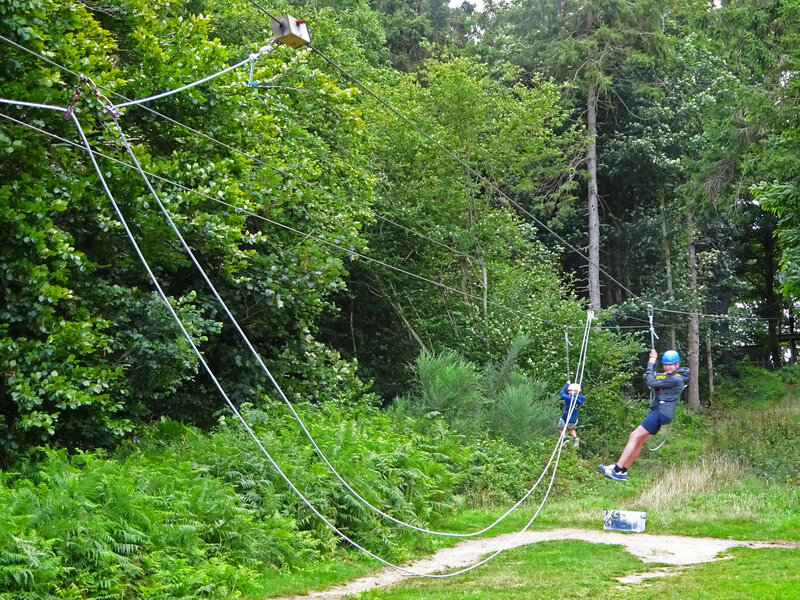 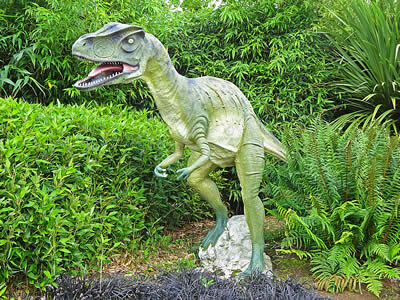 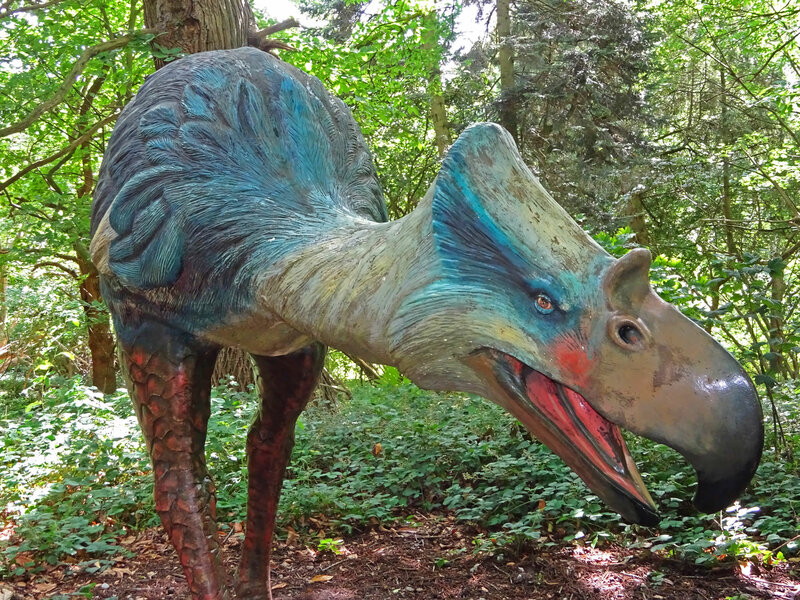 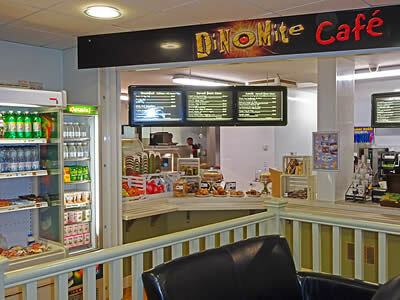 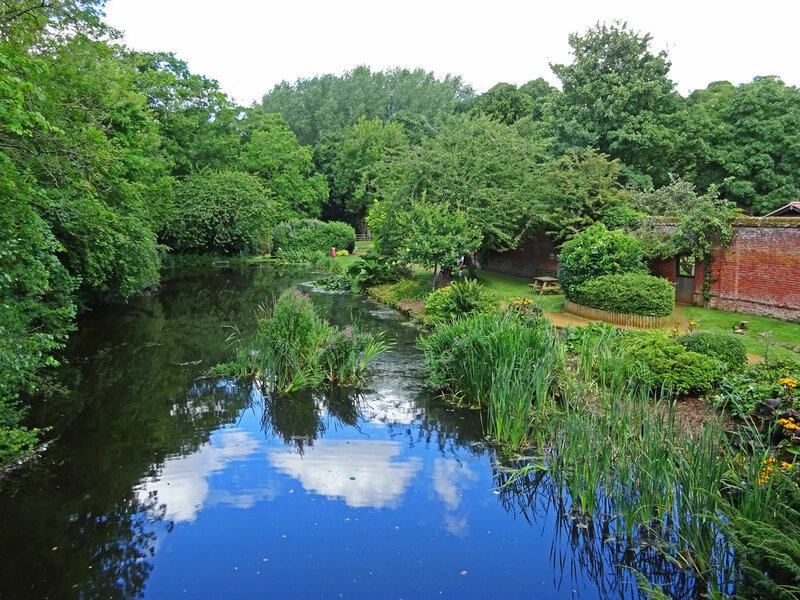 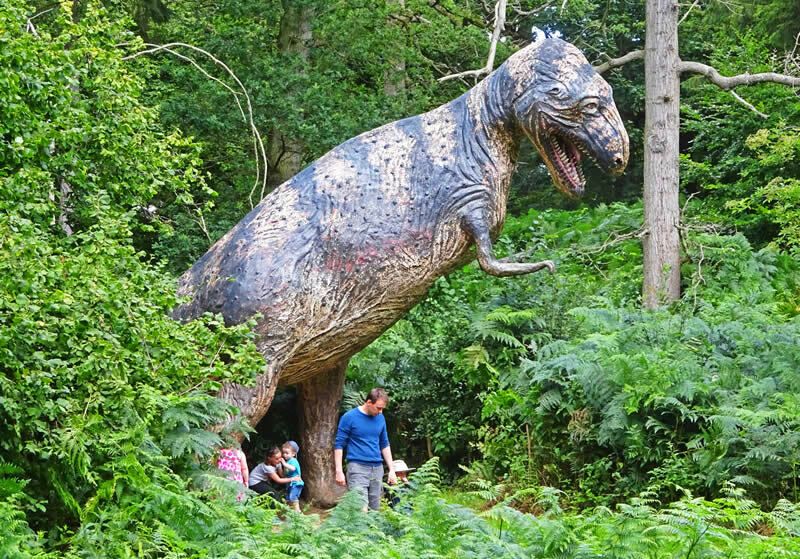 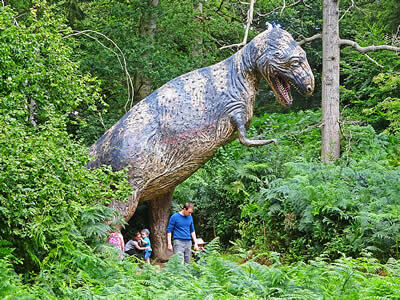 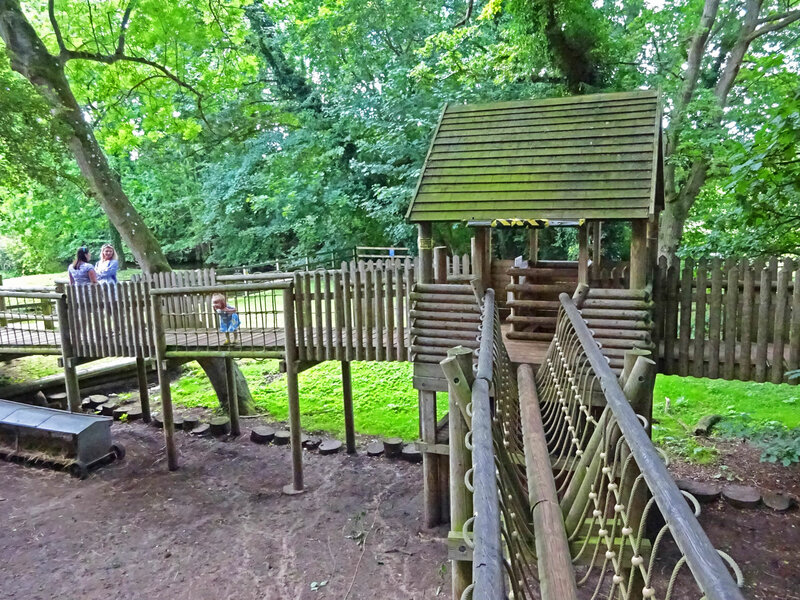 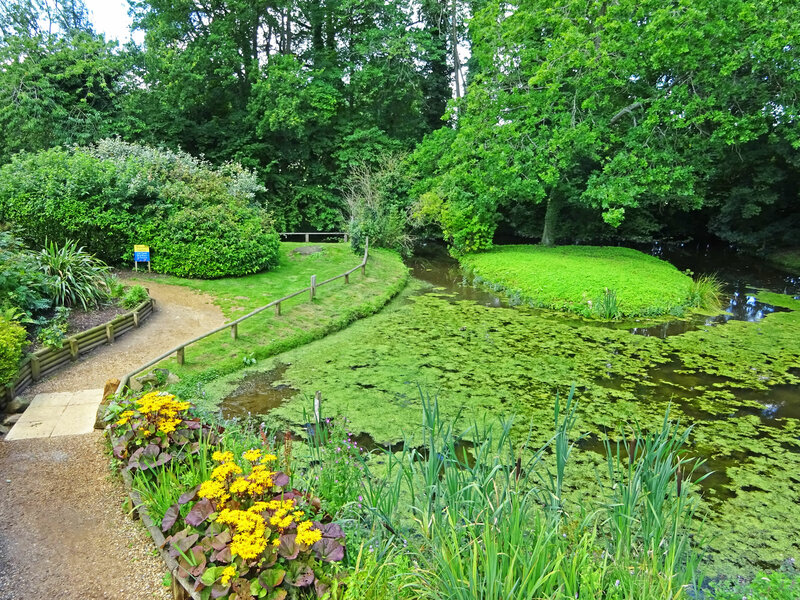 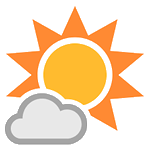 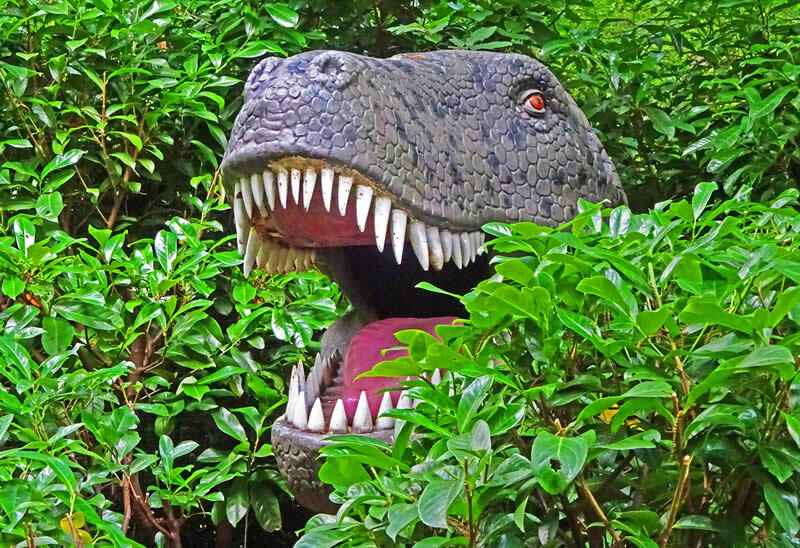 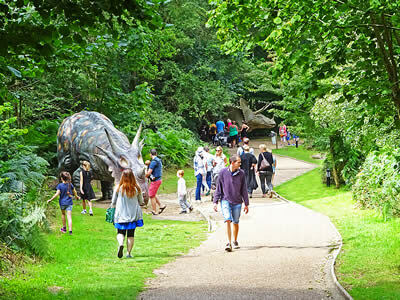 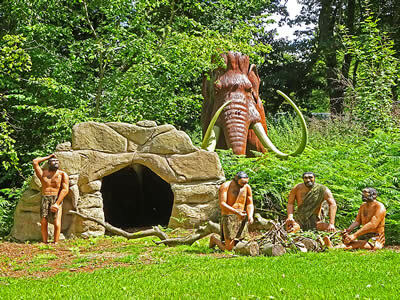 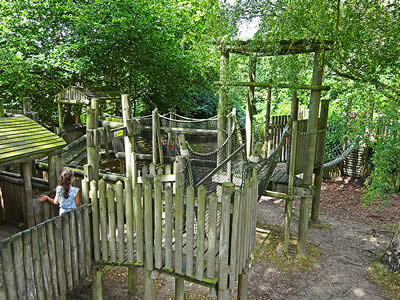 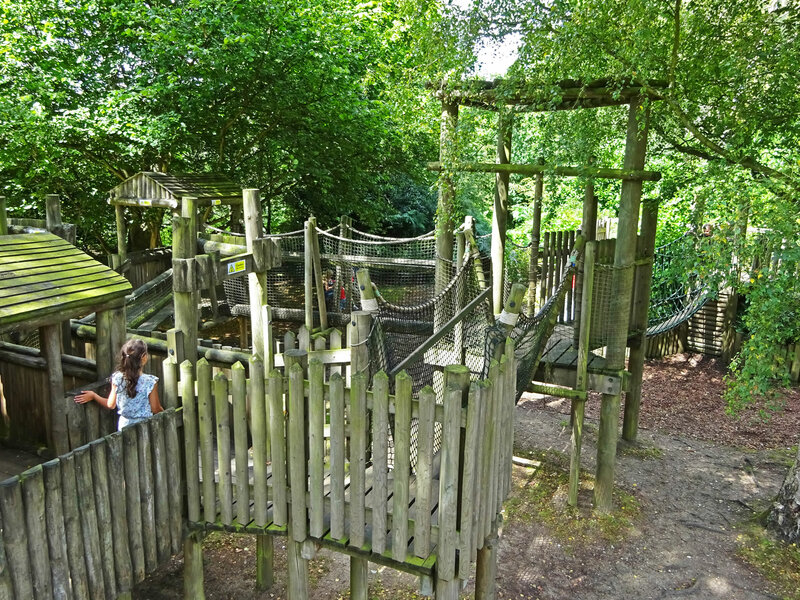 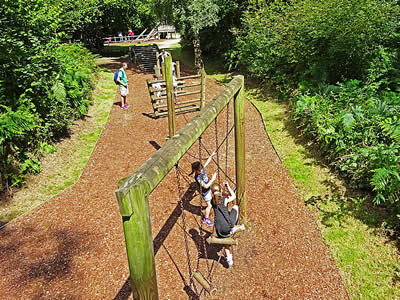 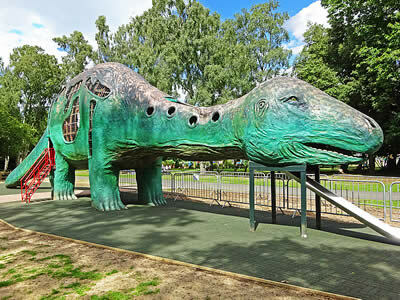 The Dinosaur Adventure Park is situated just 10 miles north east of Norwich at Lenwade. 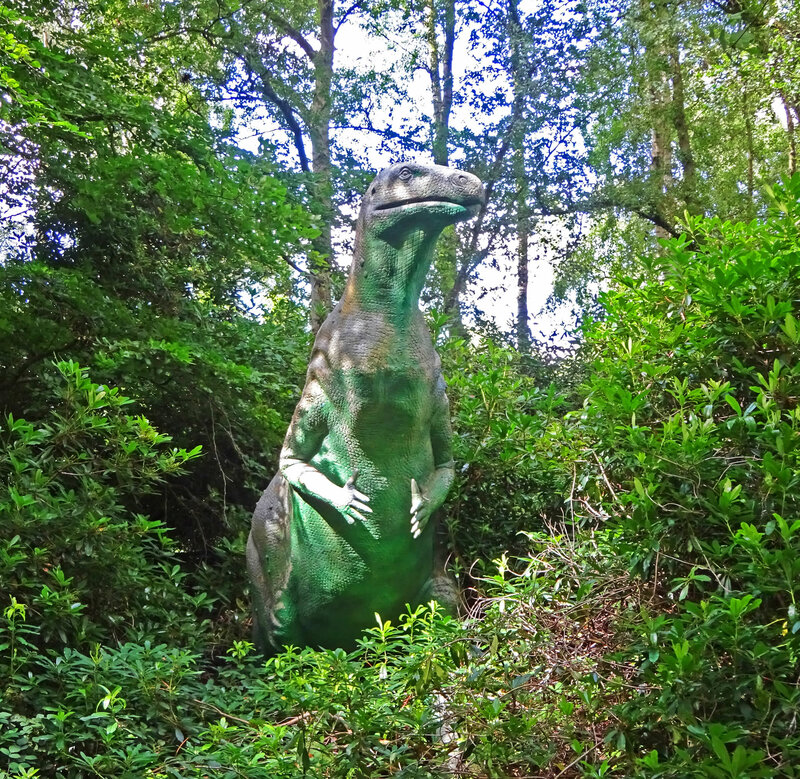 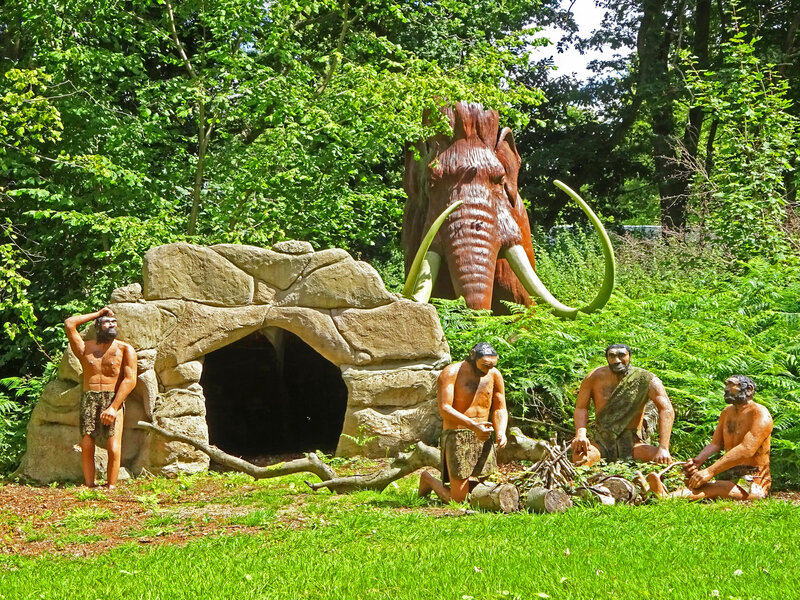 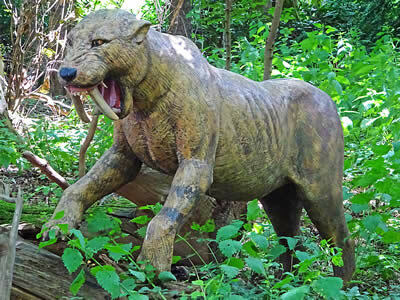 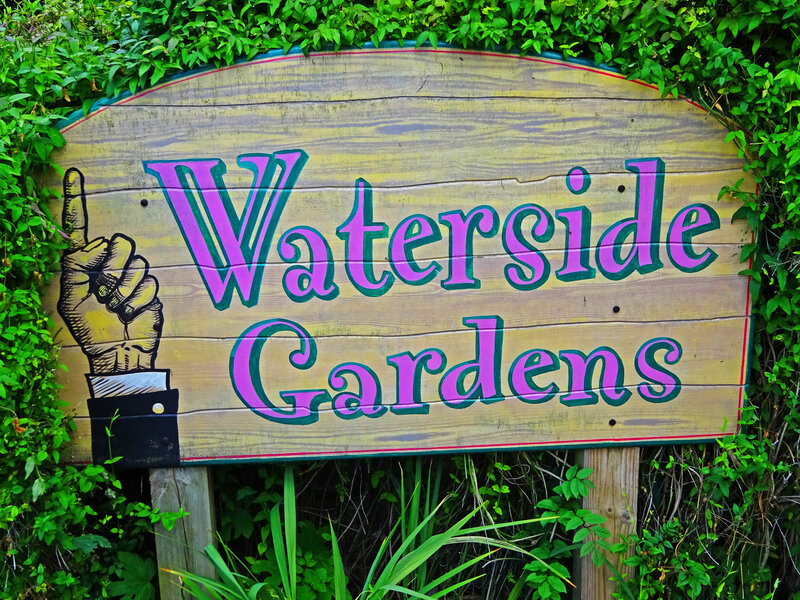 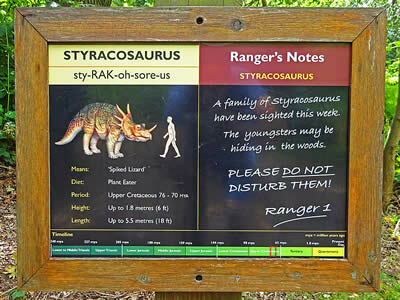 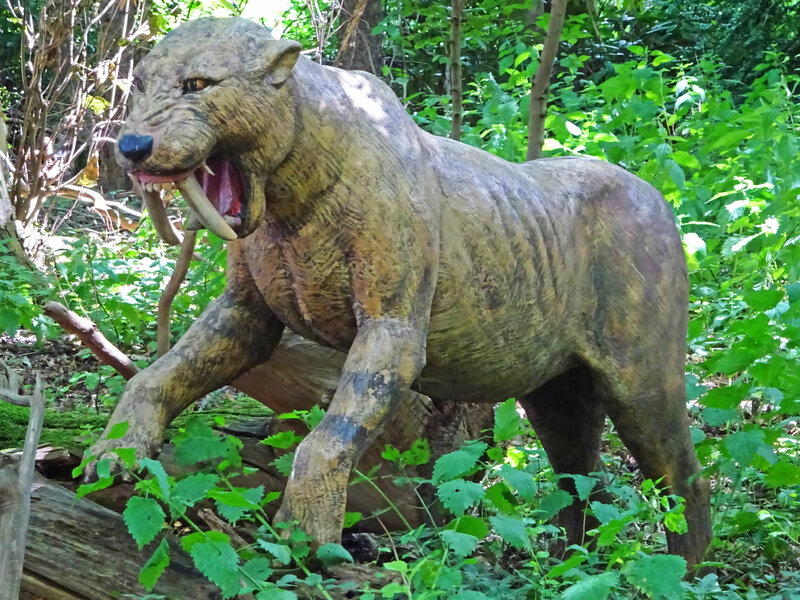 This large wooded theme park contains many life size dinosaur replicas. 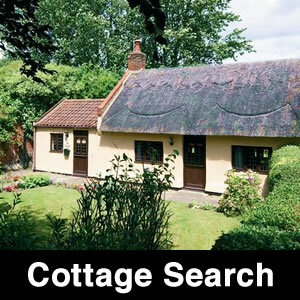 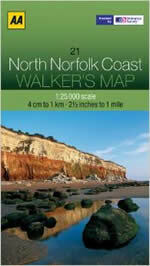 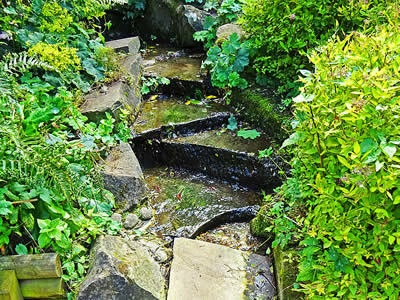 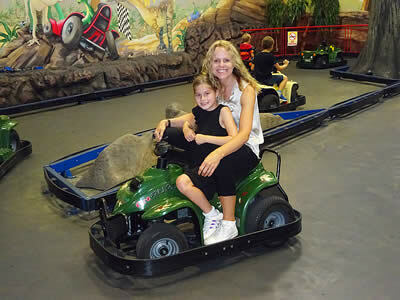 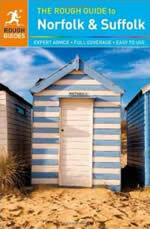 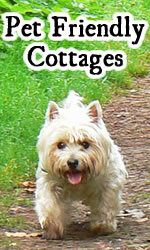 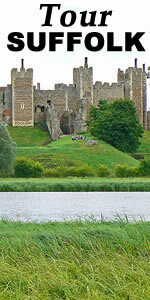 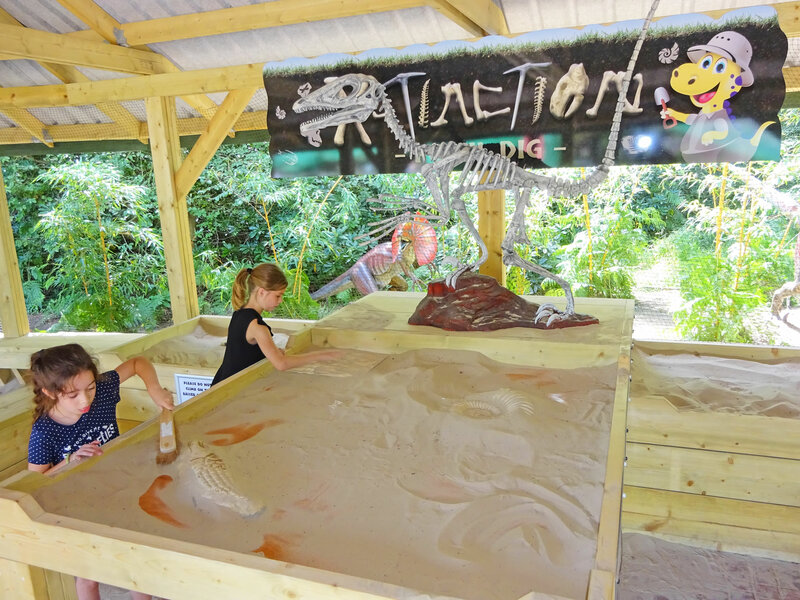 It is aimed at children, but there is also plenty for adults to see and do. The highlight of the park is a dinosaur trail, where full size dinosaurs stand tall over visitors, growling away as you walk past. 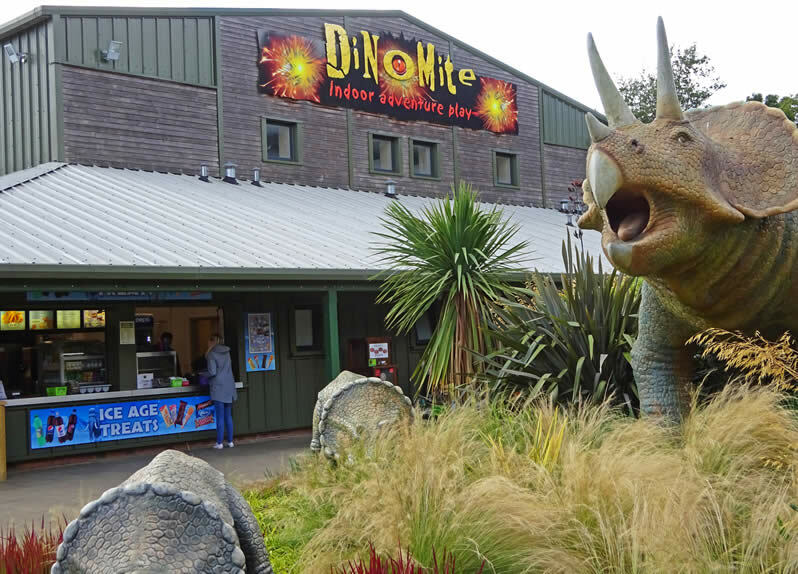 It is an essential visit for anyone studying the dinosaur era at school. 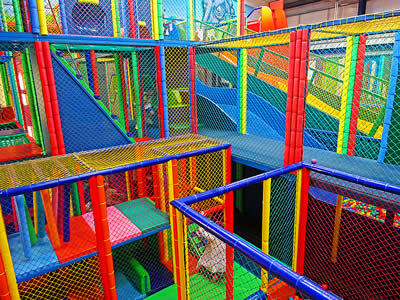 The secondary attraction is the play areas - both outdoor and indoor. 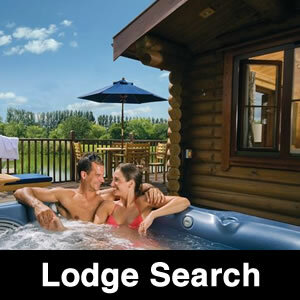 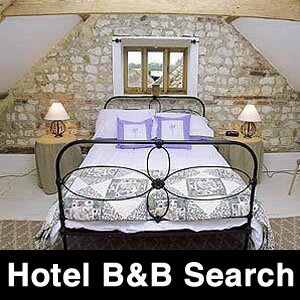 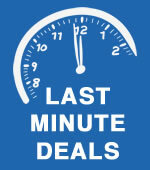 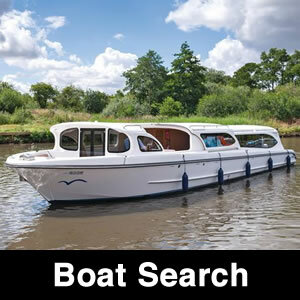 They are exceptional in terms of the amount of equipment on offer. Climbing, sliding, swinging and balancing - or just simply running around. 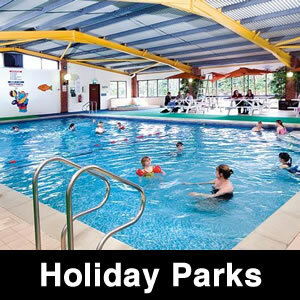 For hot days there is a splash area, where kids can get wet running in and out of water. 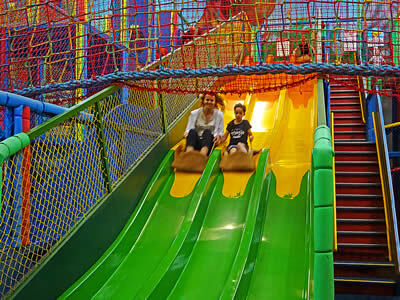 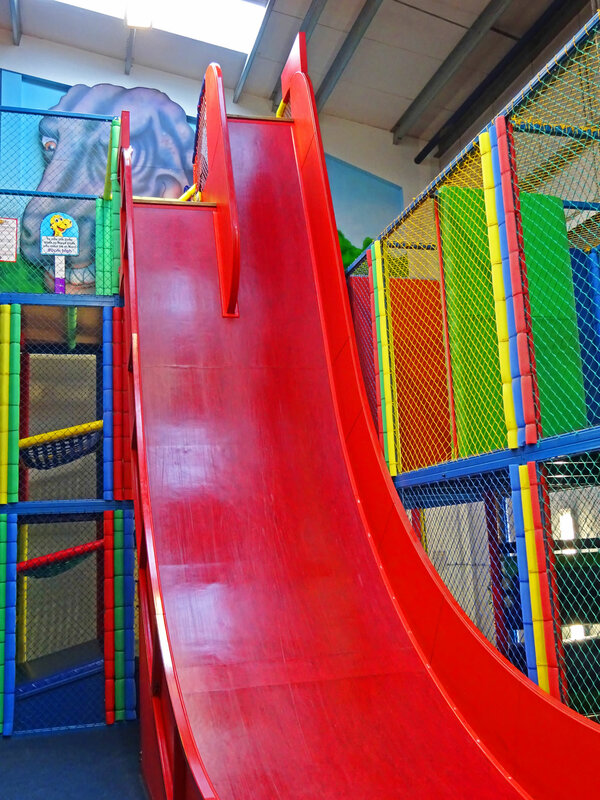 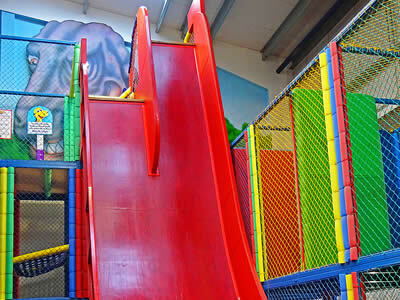 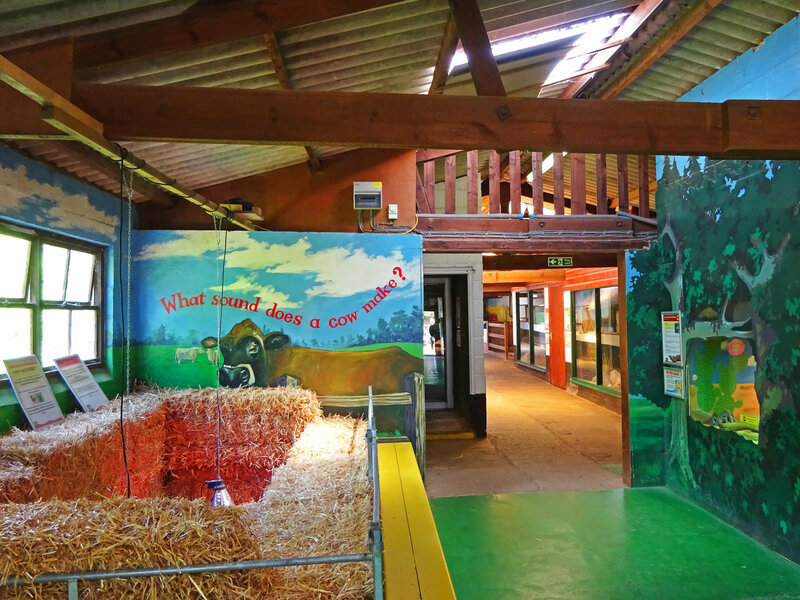 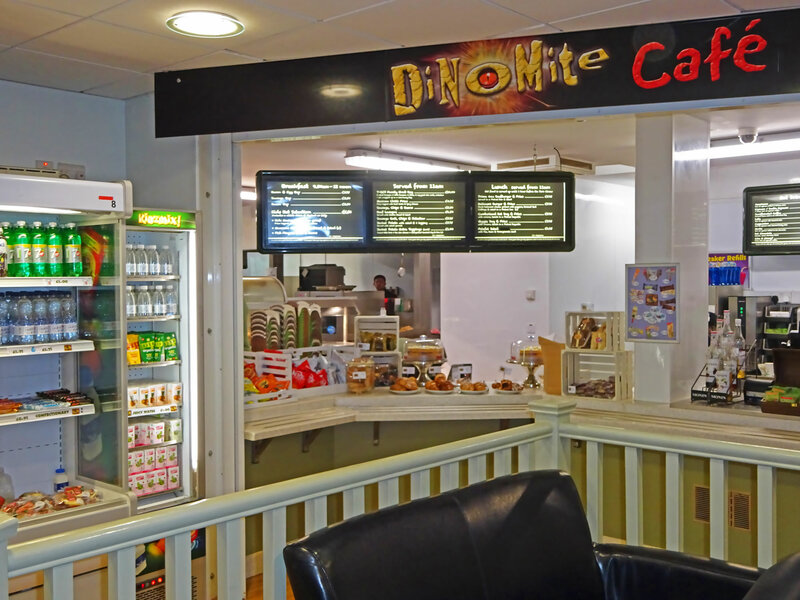 For days when the weather is not quite so good, the large indoor play area is extremely handy, especially as there is a cafe allowing adults to grab a coffee and a piece of cake. 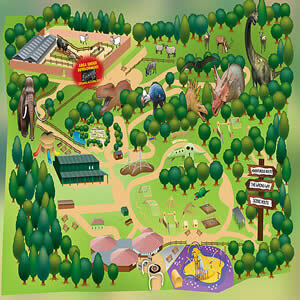 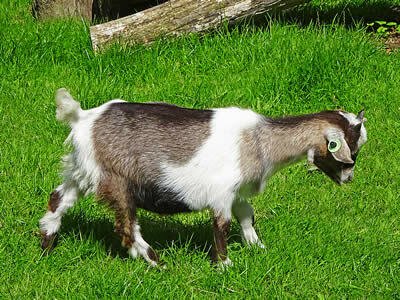 The park also contains farm animals, a deer safari (extra charge) and a lost world amazing adventure, plus others... New attractions are being added all the time. 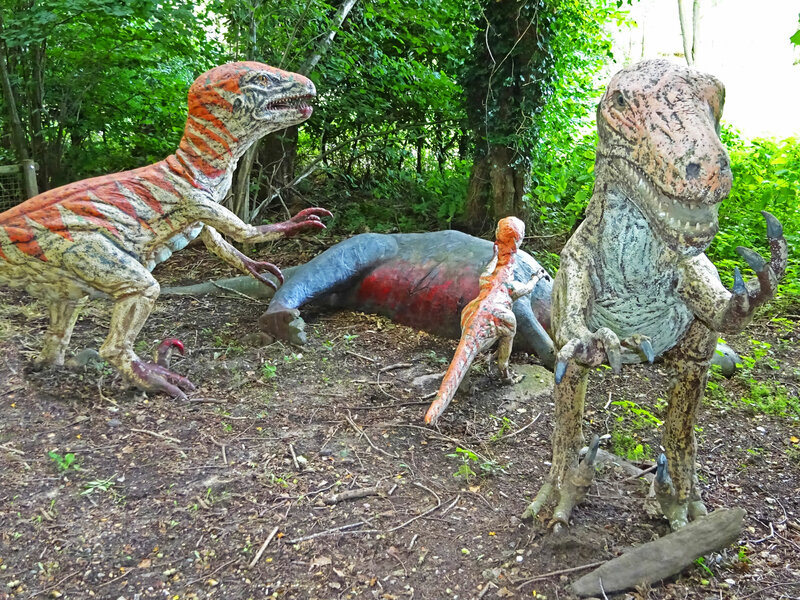 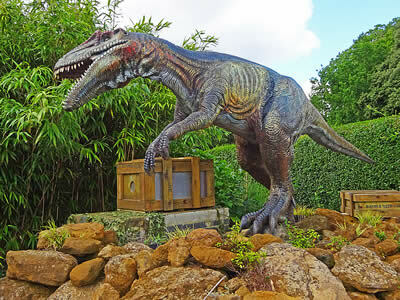 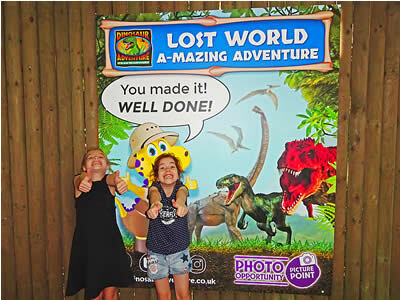 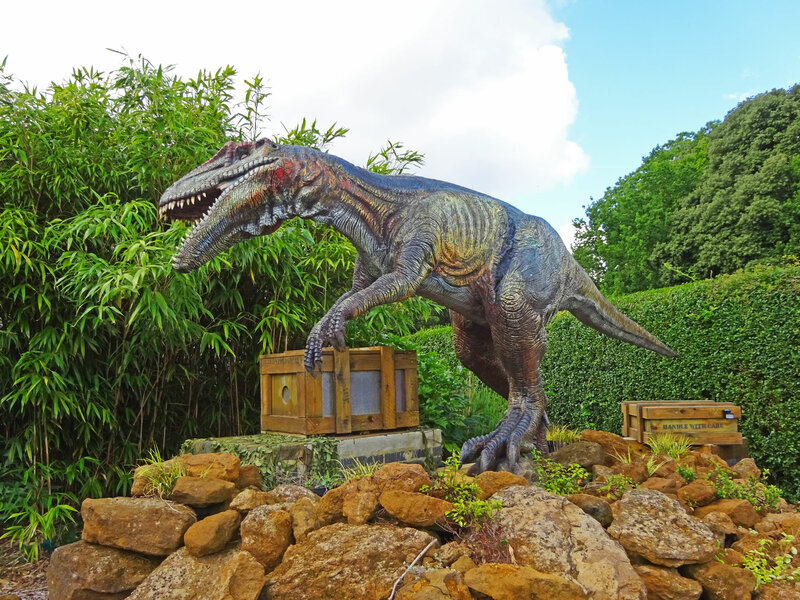 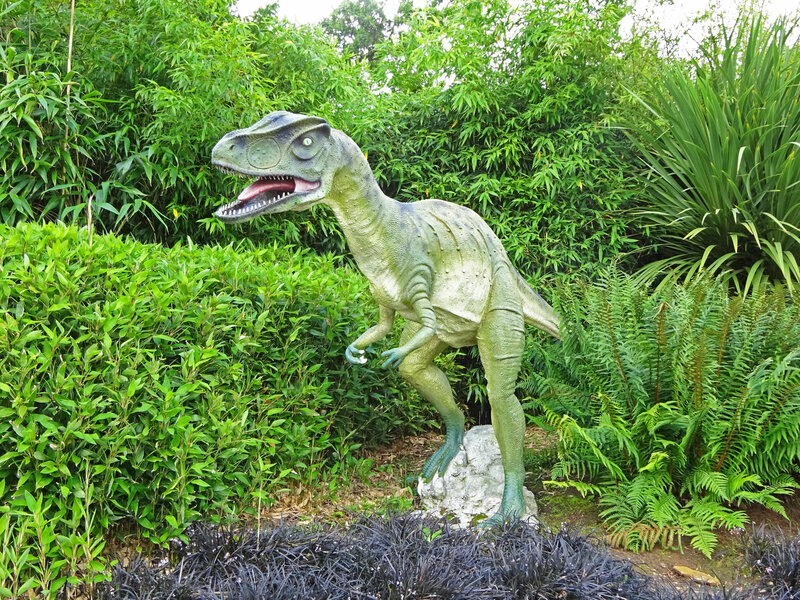 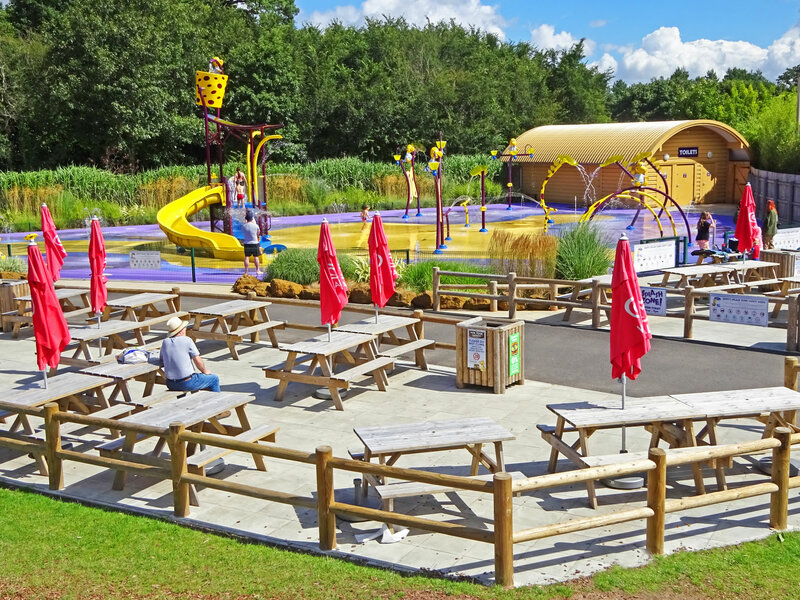 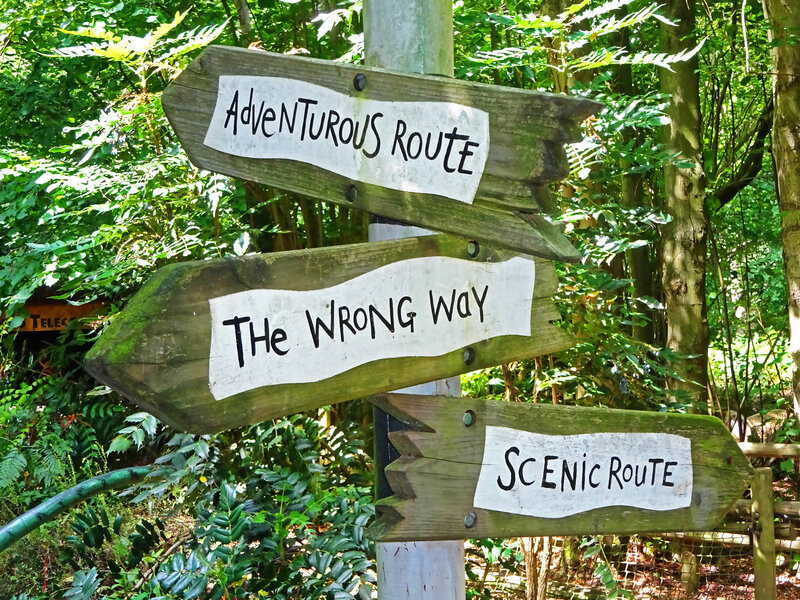 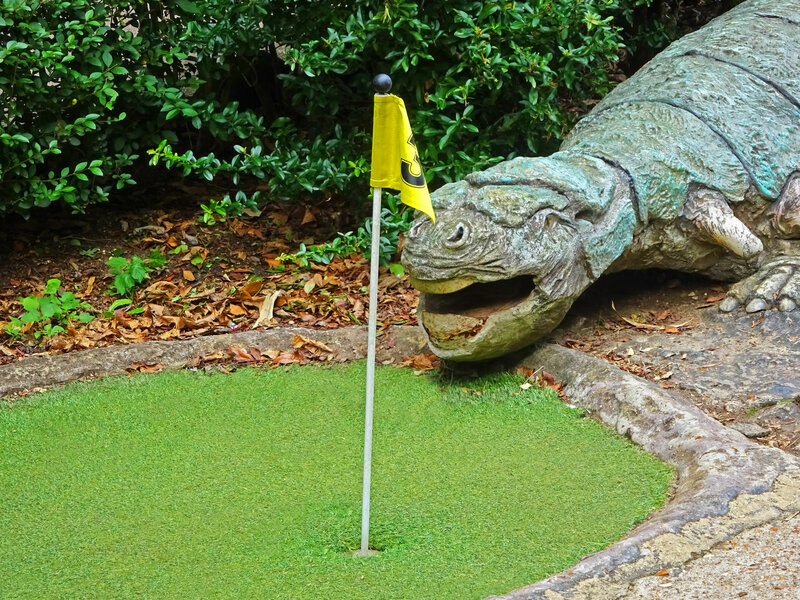 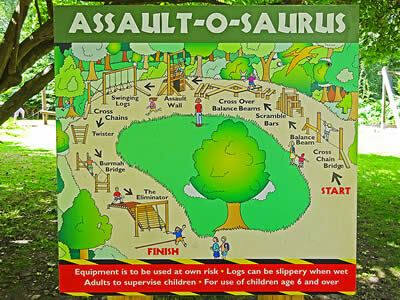 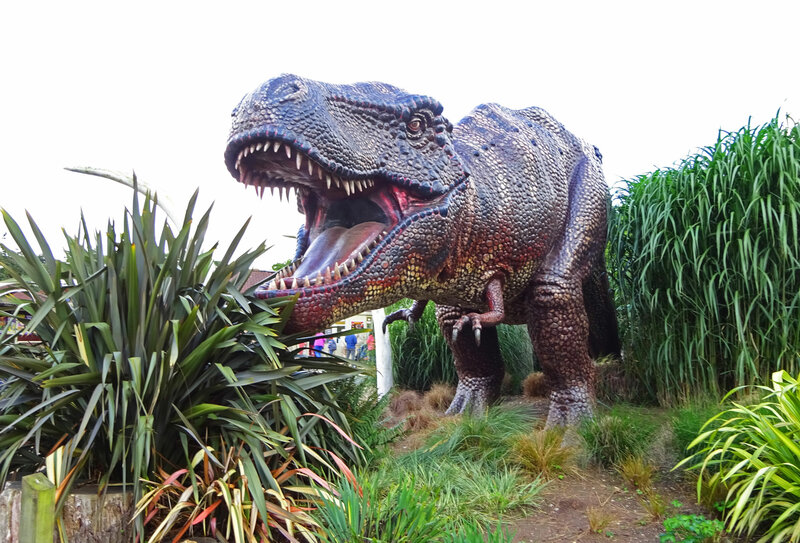 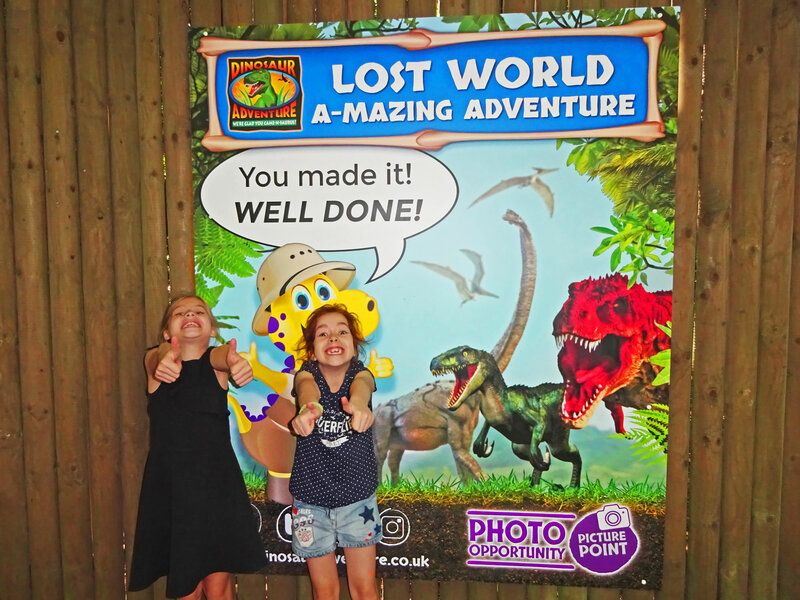 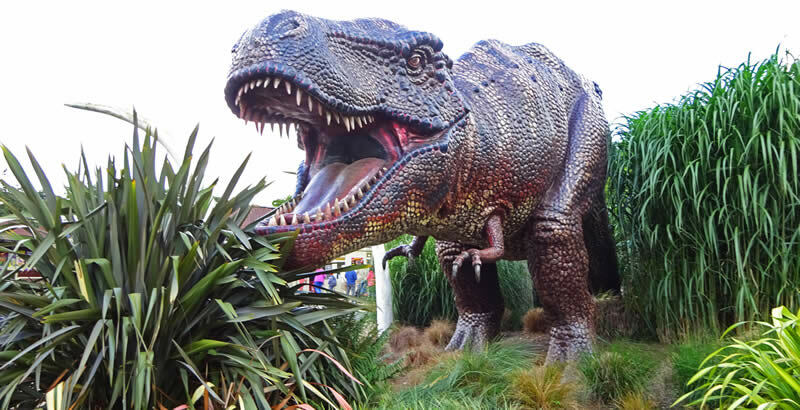 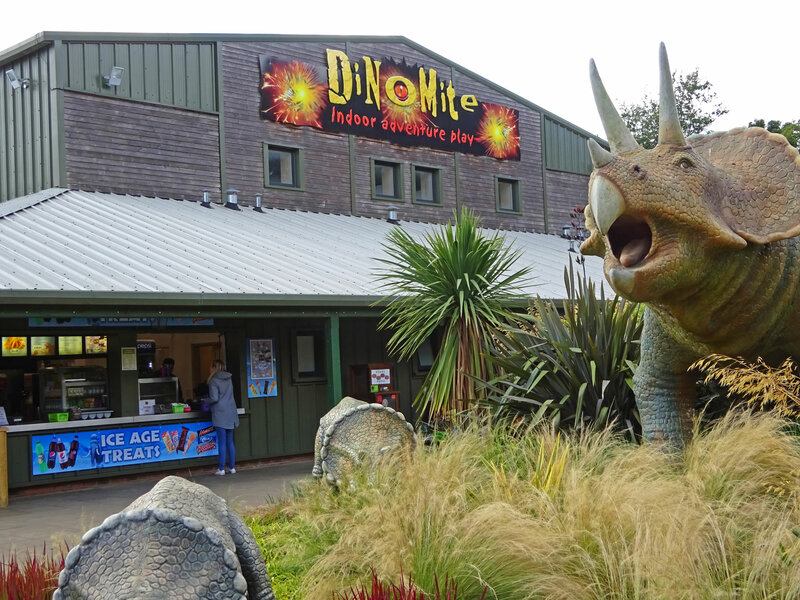 All in all, the Dinosaur Adventure Park makes a great day out - for ALL the family! 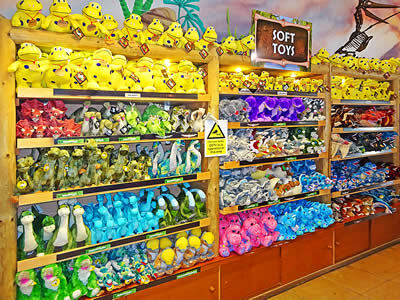 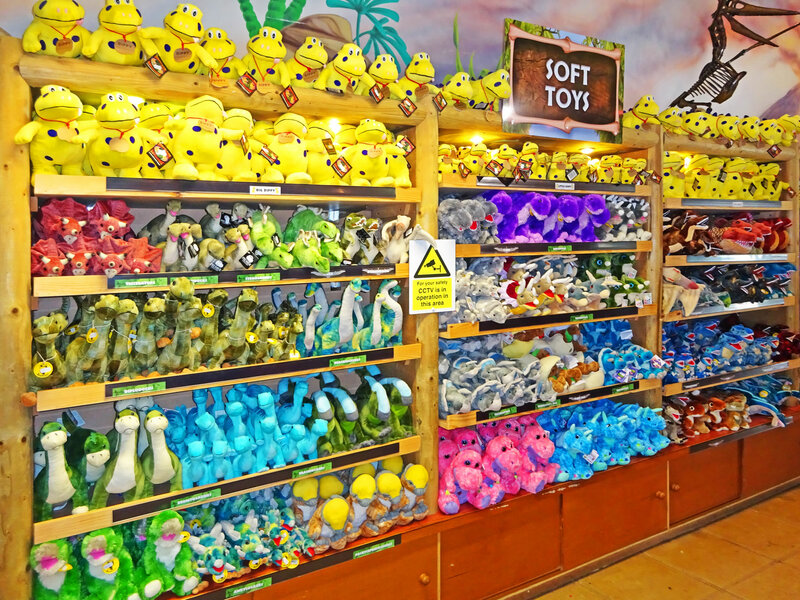 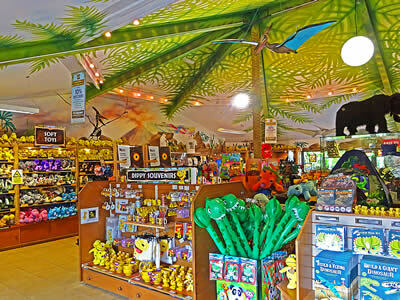 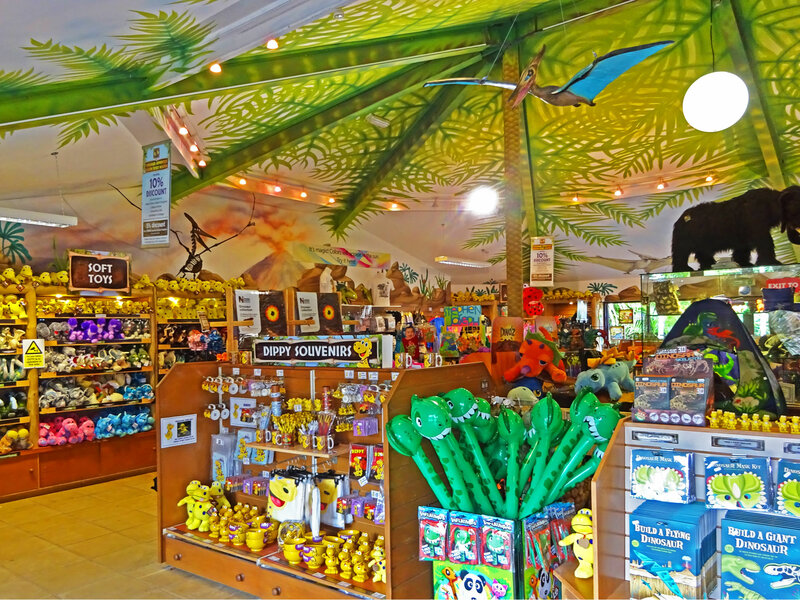 Base Camp Shop, selling all kinds of dinosaur toys! 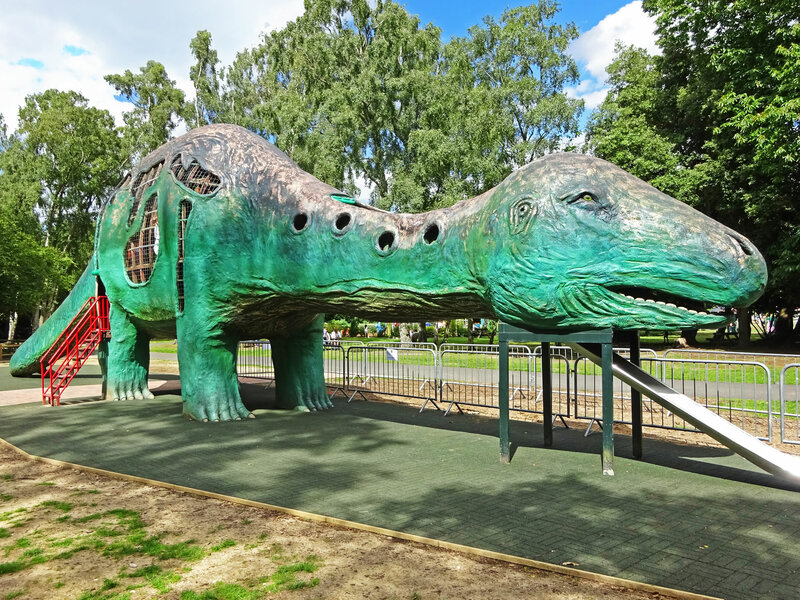 Climb inside the massive dinosaur and slide back out again! 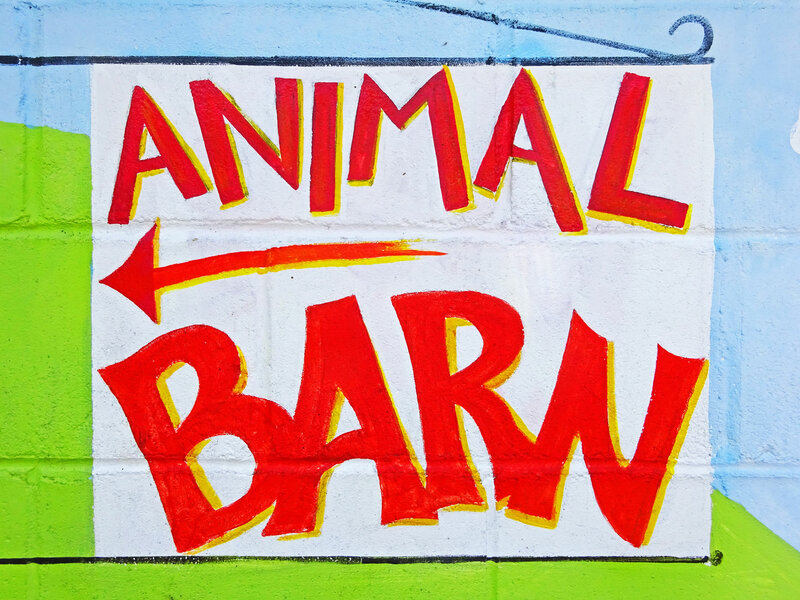 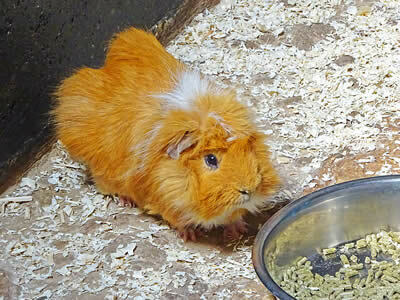 The Animal Barn is full of furry and not so furry animals! Some animals are furry and cute! 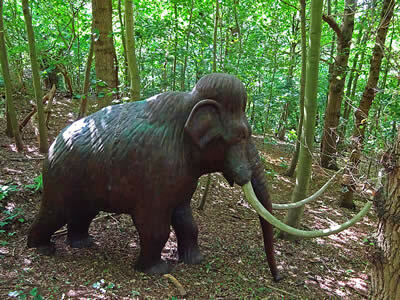 Meet a Mammoth or two along the walk! 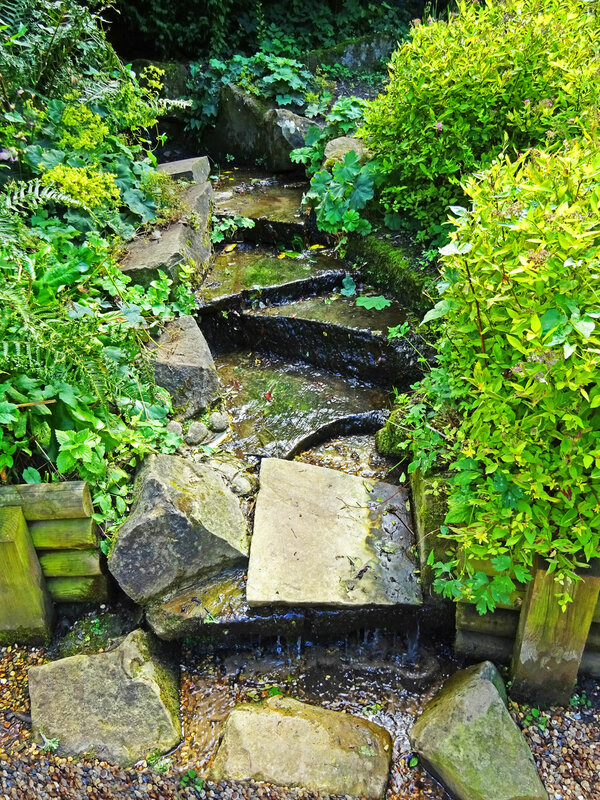 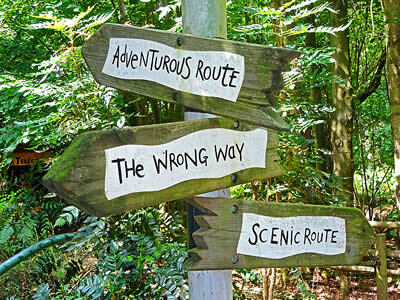 Make sure you don't get lost, paths go everywhere! 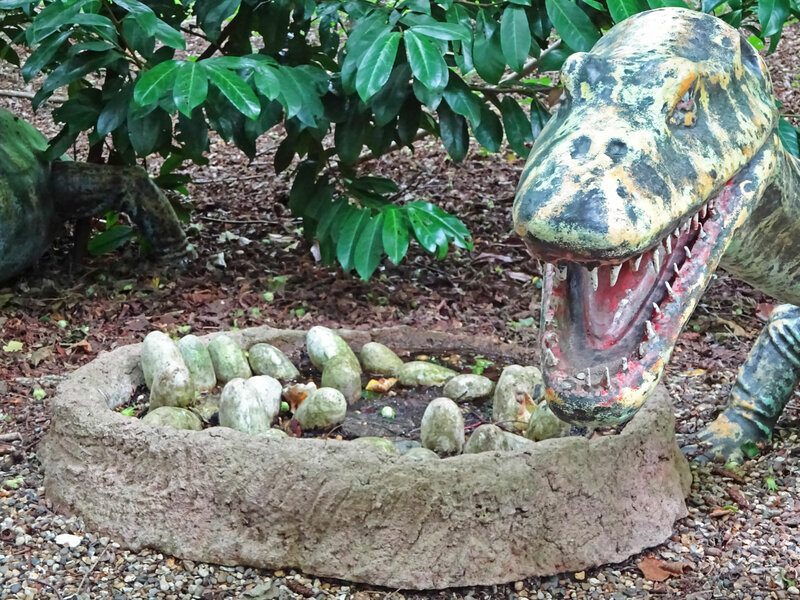 Can you find the dinosaur eggs?